Like many others, I use social media to connect with the brands I love most. Those I follow are a diverse group of national and local brands like Benefit Cosmetics and Eugene Daily News, athletic teams, celebrities such as, Mindy Kaling, marketing and journalism movers and shakers, friends and other nonspecific accounts I find funny, interesting, or just plain weird. Now, I love social media. I love the accessibility of brands and the tangible nature social media creates. The real-time feedback and engagement offered by social media has created a consumer who expects more from their favorite brands as well as some of the most loyal consumers in the market. Jay Baer, a business strategist and President of Convince and Convert, tells us that 53% of Americans who follow brands in social are more loyal to those brands. That being said, I have a little bone to pick with brands that are failing to interact with their biggest and most loyal proponents: the people who buy and use their products daily. Isn’t that the truth? Consumers today have more of an upper hand in product marketing than ever before; not only because of social’s quick nature, but also because the largest group on social is the vocal, game-changing Millennials. As brands look to increase their social presence, it is crucial that they cater to their consumers by sharing information that is “truthful, genuine, sociable, mature and humble to connect,” as stated by Adweek. Specific to Twitter, instead of thinking about selling, selling, SELLING, it is critical to think about how you can convey your brand values through 140 characters while still relating each message to your consumer base. 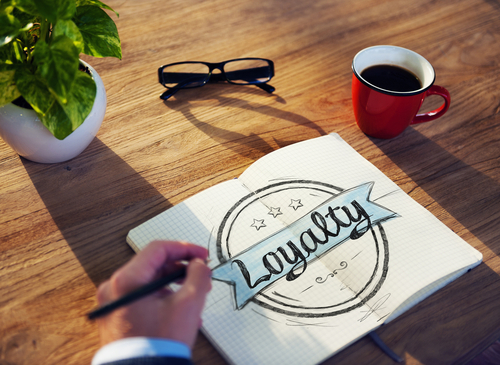 One question that should be at the forefront of your social media marketing strategy, or should I say, “loyalty” strategy is: What do you WANT to be to your customers and how are you going to get there? Engaging with the brands I love most on social is an important part of my buying habits; so much so, that I admit it is almost as important as the initial transaction at the store. A brand’s digital presence is a direct representation of their values, personality and voice. Not only does engagement on social media influence my purchases, but it also increases my brand loyalty and the chances of my purchasing their product two-fold. Interaction and engagement are keys to success on social, and failing in these areas is why some brands aren’t seeing their efforts reflected in their revenue streams. To maximize ROI, brands must clearly communicate relevant content, engage with their followers and always think about who they are, and what they want to be to the consumer.